Our "platform" is our base product. It includes the Reports menu as well as any items on the Management menu that either aren't part of Helm CONNECT Personnel, or aren't part of the Asset Tracking or People Tracking modules. Any changes to the platform affect most of our subscribers. For Assets and People, on the Management menu, we enhanced the permissions to provide more control over who can edit the information on the Details sub tabs, and who can only read it. As always, permissions in Helm CONNECT are managed on the Roles tab in Users, on the Setup menu. Remember, if one of your roles currently has the Details check box selected, that role will inherit permission to both read and edit the Details sub tab. To make sure a role only has permission to read the Details sub tab, you'll need to clear the Details check box then select just the Read check box. When you're working on either the Assets tab in Assets or the People tab in People, on the Management menu, you'll now see a message when another user is looking at the same asset or person, regardless of which sub tab you're both on. In Internet Explorer, you no longer have to go into edit mode when trying to read a field with content that is larger than the size of the field. Depending on the type of field, you'll now be able to either scroll up and down or expand the field to see all the content. We renamed the Date Range filter to Submitted Date Range, and moved it down to the bottom of the Filters area, to the left of the Item Values Date Format filter. We added a new filter called Filter On that allows you to choose the type of date you'd like to filter by, such as the created date or the due date. In the 1.8 release, we made a change to the People data source that we forgot to mention. As of 1.8, this data source now displays only active employees instead of both active and inactive employees, as it did previously. You can change someone's status from active to inactive, or vice versa, on his or her profile on the Users tab, in Users on the Setup menu. We made the following changes to Helm CONNECT Maintenance and Helm CONNECT Compliance with this release. If you have automatic numbering set up for your tasks, those numbers now display on any email notifications related to tasks. If you have automatic numbering set up for your corrective actions, those numbers now display on any email notifications related to corrective actions. We continue to base your date format on your browser settings, however, we expanded our list of supported date formats and added support for decimals and hyphens as separators, instead of just slashes. We now base your number format on your browser settings as well. The only exception is in the formula fields for tariffs and contracts. Because some functions use commas, these fields must always use the US format, regardless of your browser settings. Note These changes to date and number formats apply only to Helm CONNECT Jobs. We haven't yet rolled them out to our other products, including Helm CONNECT Maintenance, Helm CONNECT Compliance, or Helm CONNECT Personnel. In Tariffs and Contracts, in any fields where you can enter a rate, we now display the numbers with two digits of precision. For example, if you enter 1750.5, we'll now display the number as 1750.50. Helm CONNECT now reports the correct revenue allocations if you manually edit an invoice after it's calculated. If you thought some of the fields on the Trips tab in Dispatch were a little misaligned, you'll be happy to know all the fields on that tab are now lined up nicely. On the Tariffs tab in Tariffs, the Deactivate and Duplicate buttons will no longer disappear while you're editing a tariff with a rate table that includes locations. And on the Contracts tab in Contracts, the Save button will appear, as expected, while you're editing a contract with a rate table that includes locations. On the Transactions tab in Billing, you will no longer see an error if you select all approved invoices then click Submit Selected without filling in a transaction date. We're excited to introduce Helm CONNECT Personnel, our new product for crew scheduling and payroll management! 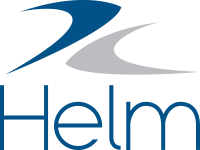 Helm CONNECT Personnel offers an end-to-end solution for crew management, crew scheduling, and payroll, and integrates seamlessly with our current software products: Helm CONNECT Maintenance, Helm CONNECT Compliance, and Helm CONNECT Jobs. In this release, we're rolling out the Crew Scheduling and Crew Changes modules, which include time tracking and crew change management. Over the next few months, we're also rolling out the powerful Payroll module, designed to address the unique marine use cases that mainstream payroll systems often overlook. Your account manager would be happy to answer any of your questions and book a demo for Helm CONNECT Personnel.